Details: With soy milk protein. Rich formula. 2x stronger hair (When using VO5 shampoo & conditioner vs VO5 shampoo alone). 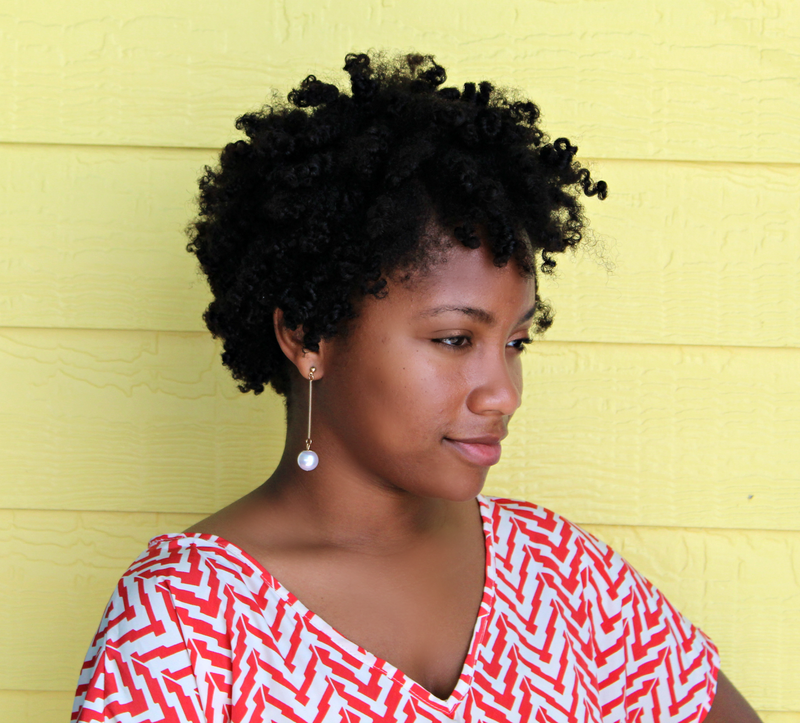 Experience the health and vitality of soy milk protein formula for beautiful hair. Treat yourself to the fragrance of fresh-picked strawberries. Soy milk protein formula revitalizes dry, damaged hair. Moisturizes as it cleans leaving your hair silky, smooth and beautiful. Keeps color treated hair looking great. Directions: After shampooing, apply to wet hair. Leave on as desired. Rinse thoroughly. Avoid contact with eyes. In case of contact with eyes flush thoroughly with water. Ingredients: Water (Aqua), Cetyl Alcohol, Stearalkonium Chloride, Cetrimonium Chloride, Fragrance (Parfum), Glyceryl Stearate, DMDM Hydantoin, Disodium EDTA, Red 33 (CI 17200), Polysorbate 20, Propylene Glycol, Stearyl Alcohol, Steareth-21, Tocopheryl Acetate, Soymilk, Panthenol, Ascorbic Acid, Fragaria Vesca (Strawberry) Leaf Extract, Niacinamide, Biotin. My Thoughts: I like this cheap conditioner. I used it on my last wash day as my conditioner in my pre poo. This conditioner has a lot of slip and helped me get rid of shed hair before shampooing. Also, this conditioner smells so nice and fruity. Yum. Only thing I feel this conditioner is lacking is thickness. It's a little runny but once I mix it with my coconut oil, olive oil, and paprika hair mask the problem is solved. Warning: Soft hair will follow. Keep It or Toss It: Keeping it. 2 comments on "VO5 Moisture Milks Strawberries & Cream Moisturizing Conditioner"
I purchased this conditioner, but never used it. I gave it away. I might pick it up again when I'm in Walmart. 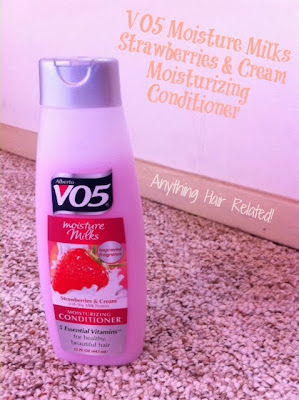 Don't sleep on this conditioner lol...I think you will like it for co-washing too.